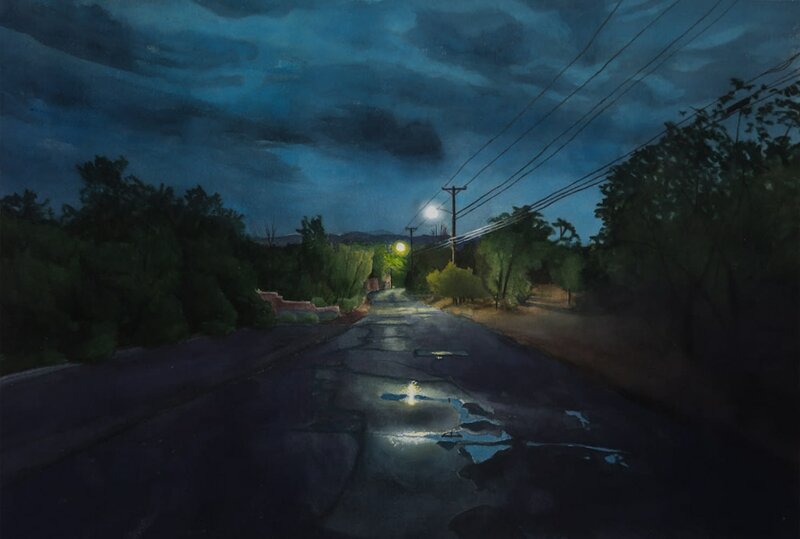 This painting is from a very early summer morning on the section of Canyon Road in Santa Fe above the galleries where it gets less populated and feels more like old Santa Fe – at night anyway. Dawn is still a little ways away but the rainy sky is starting to show. 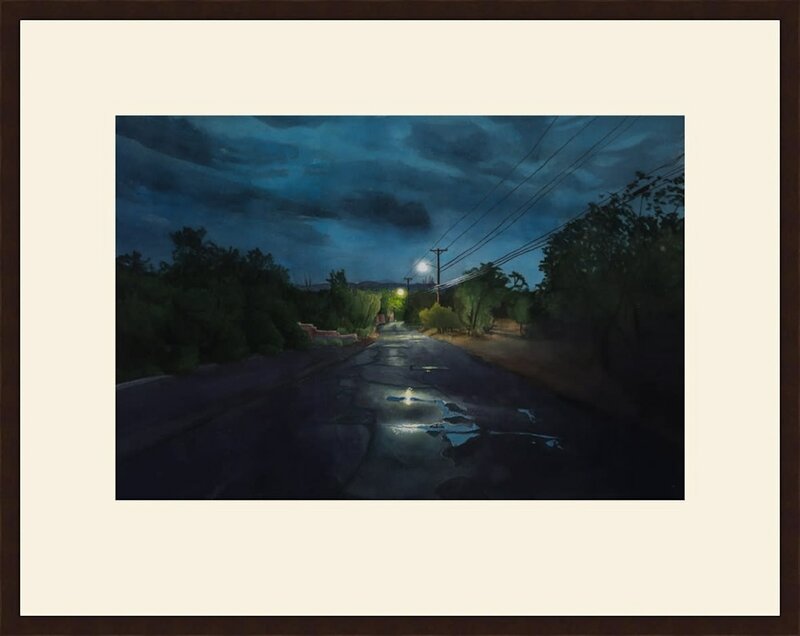 This is early in the morning on Upper Canyon Road in Santa Fe, north of where the galleries are. I love the quiet, almost surreal quality to the world then. Dawn is just about to break over the horizon.